Leah's Crafty Life: Congrats, it's Friday! Wow, where did the week go? The kids have been out of school officially 9 days now. My numbers guy, Cameron has been keeping track. It's inspiration Friday over on the Tiddly Inks challenge blog... go check out the wonderful talent that makes up the DT.. bet your color engines will be fired up afterwards. Notice how I got that Mario Kart slang-ology in there? Today I have Annie's Diploma to share with you. I printed her out on Copic XPress it Paper and colored her with my Copic Markers. Her little polka dot dress and tassel drew me in! 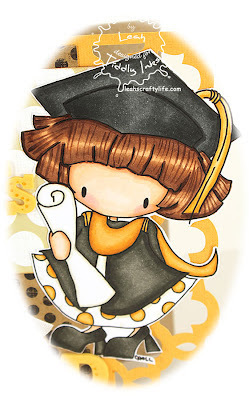 She's perfect for the graduate in your life! There is shading on the white bits, its just a little hard to see on the screen. PS. What are you making for Father's Day? I would love to see!! PPS. We still have a Father's Day/Masculine challenge going on at Tiddly Inks. My Dad's day project just happens to be live today! LOL!!! I loveeeeeeeeeeeee your card!! LOVING that grad, the alphas and the colors!!! ADORABLE!!!!! 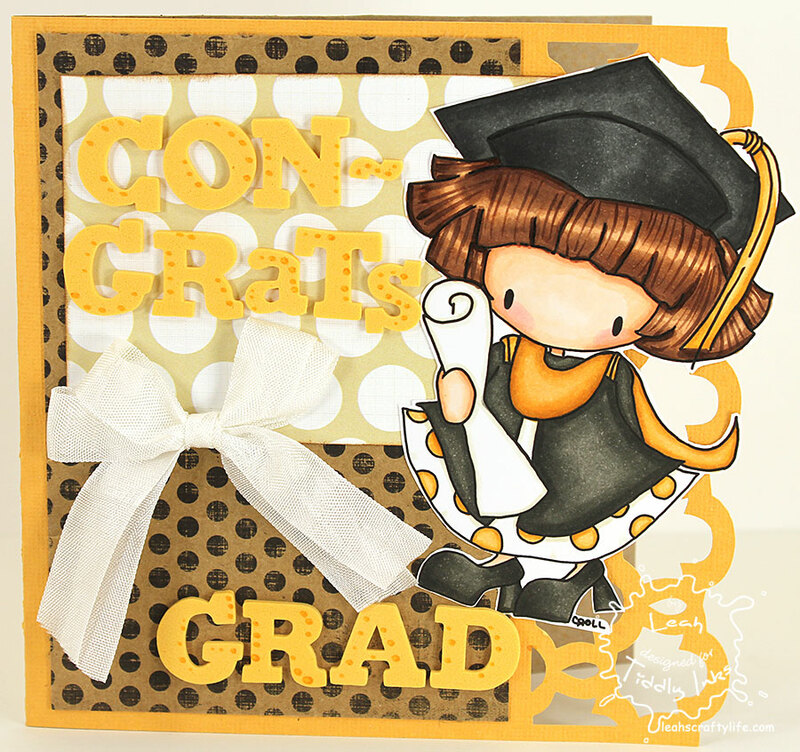 this is so CUTE....i love this little graduate...such a fun card.. Awesome grad card Leah!! Loving the black/yellow combo! OMG!!! LOVEEEEE this ....amazing hair!! Wow Leah I love this! Fabulous colours and the whole card is just awesome! I love the polka dots!